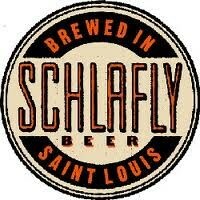 Laumeier Sculpture Park (12580 Rott Road Street; 314-615-5278) recently announced a new partnership with Schlafly Beer. We spoke with Jackie Chambers, development officer at Laumeier and Susan Haberer, event coordinator at Schlafly, to find out exactly how beer and art will merge, two things quite relevant to Gut Check's interests. Throughout the year Laumeier hosts a variety of free public events, gallery openings, musical performances and other activities. Thanks to the new partnership, Schlafly products will be available at all of these events. "It's a pretty natural partnership," Haberer says. "We've been involved with their art fair for several years. It sort of seemed like a natural step to extend that partnership." To celebrate the new partnership, Schlafly will be hosting a benefit brunch on Sunday, September 2, from 11 a.m. to 2 p.m. at Schlafly Bottleworks (7260 Southwest Avenue St. Louis; 314-241-2337). Ten percent of the event's profits will be donated to the sculpture park. Chambers explains that all money raised will help fund park operations, which supports a variety of programs from art exhibitions to free tours of the park. Chambers also feels that the partnership is a great fit. "As we develop our relationship more, we'll be able to share information about supporting local culture, being active and involved in the community and share opportunities and encourage our mutual audiences to learn more about what's happening in the community and enjoy those things. It's a way for St. Louis to show it's a great place to live and to share information about how rich our community is," Chambers says. There will, of course, be plenty of booze for the 21-and-up crowd, but Chambers is happy to report that the company's Osterweis sodas will be available, too. These specialty sodas come in non-alcoholic ginger beer, root beer and birch beer. Both Chambers and Haberer emphasize that the partnership is a year-round collaboration. Laumeier and Schlafly will work together to cross-promote events, as well as work together to bring great activities to the community.